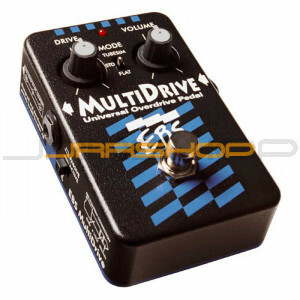 The EBS MultiDrive is a ”Class A” overdrive pedal, capable of producing sustain, overdrive and many other useful ”tube amp” distortion sounds. The mode switch selects classic, vintage or modern overdrive type sounds. This is the pedal to spice up your sustain! The 2008 edition uses true bypass techniques.